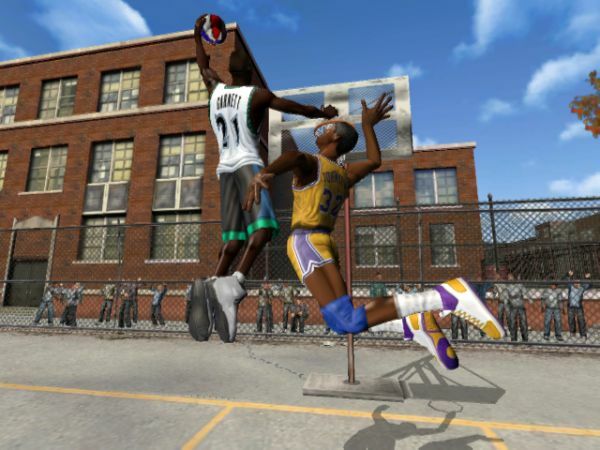 -The NBA Playgrounds game just got released recently, and it's essentially bringing back the basketball arcade action we loved and enjoyed. Reminiscent of the over the top gameplay of NBA Jam and NBA Street, Playgrounds is like a mix of the two essentially with less of the mechanics and slightly different (in other words, even more cartoonish) graphics. 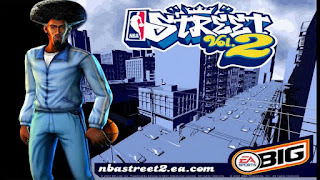 Still, with that in mind, we decided we wanted to kick off Gaming Fridays with a look back at possibly the greatest basketball arcade style game of them all, NBA Street Vol. 2. Now, the first NBA Street was immensely fun, as it allowed you to take the over the top style of NBA Jam and combine it with the gritty style of street ball, but it was clear that the first one was their test run. 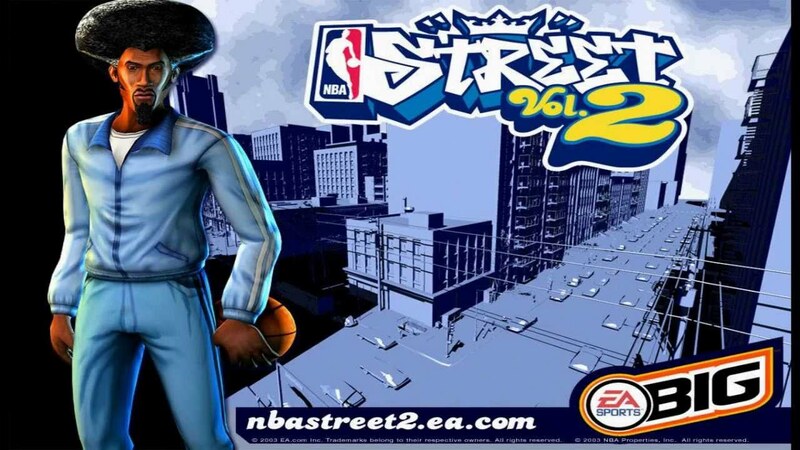 EA Sports BIG created a pretty good game with the initial NBA Street, but when they went in to make the 2nd edition, they struck gold. Today, myself and Peagle take a look back at what we feel might be the greatest basketball arcade game of them all. Is it better than NBA Jam? Well, let's examine. 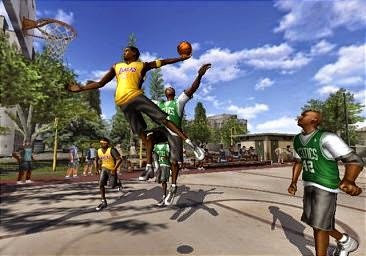 In the era of remasters, when we talk about games we all want to see redone, one game always comes up: EA Sports BIG's NBA Street Vol 2. The greatest arcade basketball game of all time and yes, that includes NBA Jam. What made this game so great was its combination of fluid gameplay, appropriately cartoonish graphics and solid basketball mechanics. 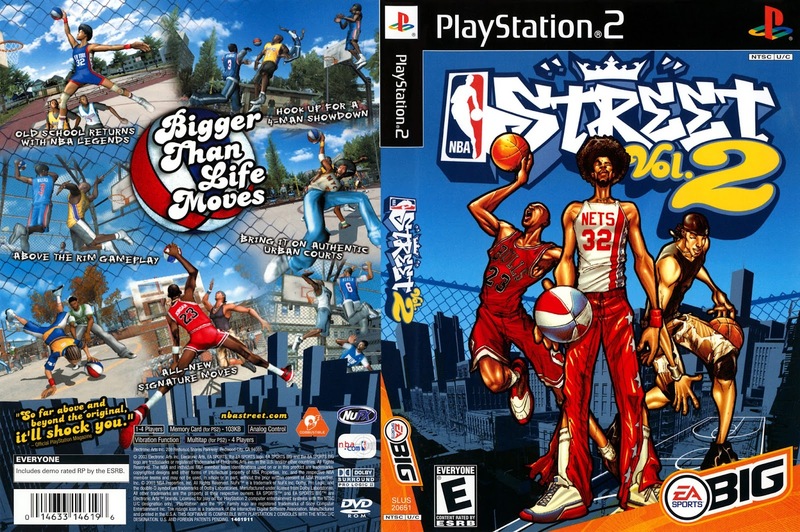 But more than anything, what we remember about this game was its celebration of hip-hop and Streetball culture. 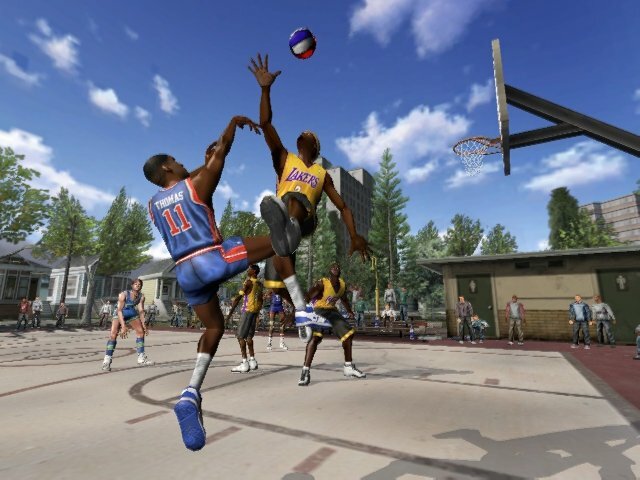 When EA BIG released the first NBA Street, the potential was there for greatness but it just fell short. The gameplay was great, but the atmosphere was off. 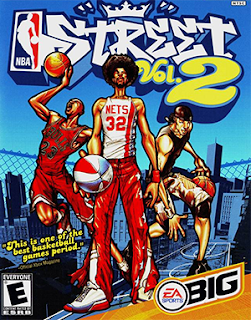 It felt like EA wasn't sure exactly how far they wanted to take the “Street” element and as a result it felt like an arcade basketball game that took itself a little too seriously. In came NBA Street Vol 2. and with this, the folks at EA BIG did the right thing by this series and embraced the Streetball culture, the crowds, the sounds, the trash talk and the music. I'll never forget booting the game up and hearing the classic "T.R.O.Y." greet me in the menus and from there, the soundtrack only got better as the instrumentals found in the actual gameplay were done by legendary producer Just Blaze and the game was all the better for it. Ask anyone what they remember the most about this game and they'll tell you immediately that it's the soundtrack. Of course, the other major change was inserting Bobbito Garcia into the announcer's booth. And my GAWD, what a difference he made. There are so many classic lines he has in this game that to this day, I can play the game and laugh like its the first time. Getting my opponent off me with some elbows and hearing him sing “ELBOW ROOM...ELLLLBOWWWW ROOOOM” never gets old. I could honestly rattle off Bobbito lines from memory still and as a matter of fact I still use “I SAY THEE NAY” after a big block in a game on twitter to this day. 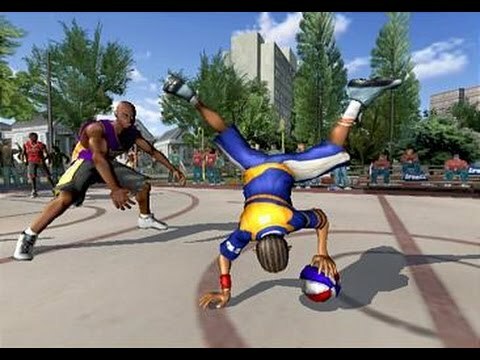 All of these elements came together to create what is probably one of the greatest, if not THE greatest representation of Black culture and Streetball culture in gaming. And therein lies one of the hallmarks of its classic status...despite being made at EA Sports, in a mostly white company..this game is BLACK AS HELL and doesn't once feel contrived. There is a reverence and respect for the culture that shines through even today. The game has aged so well from all perspectives but especially from an audio perspective and that is a testament to Bobbito Garcia's involvement as well as the developers being willing to listen and do it right. So, we, the gamers of America and especially the Black gamers of America, ask EA to get it together..give us the remaster we've been asking for. 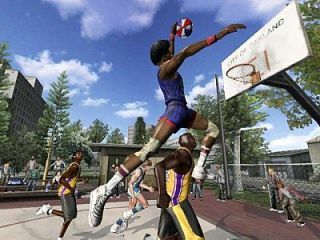 This is a classic game that still has an audience, look no further than the recently released NBA Playgrounds. It takes a majority of influence from NBA Jam, but the Street feel is there. We still want it, you can still provide it. Let us run the Streets again. Now I'm hitting Amazon to buy a PS2 copy for my PS3. And remember, when you're on the court, “Anything that isn't bolted down to the ground, is YOURS”. -While I personally have a tough time deciding between NBA Jam and NBA Street Vol. 2, the reality is that NBA Street gave us something that Jam never did: a game that was designed for us. 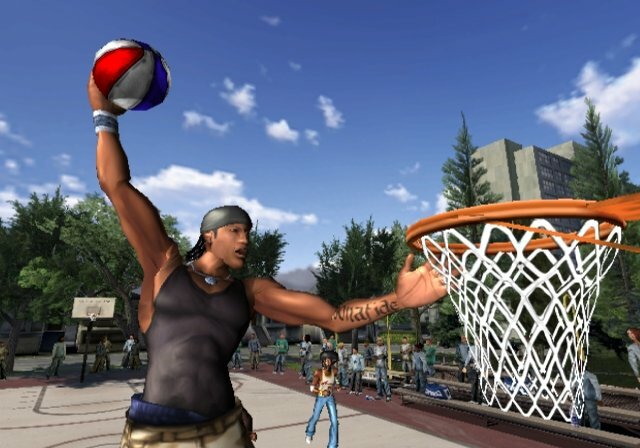 Granted, this wasn't our video game FUBU, since EA Sports is pretty much white, HOWEVER, the fact that they utilized parts of the culture to create this game, showed they were willing to listen and appeal to one particular demographic instead of just giving us the mundane NBA Live games back to back. Still, cultural impact aside, NBA Street Vol. 2 is just a really good game. It has the perfect mechanics and gameplay, combined with an almost flawless soundtrack that features Pete Rock and CL Smooth, MC Lyte, Erick Sermon & Redman, Nate Dogg & Eve, Lords of The Underground, Black Sheep, Dilated Peoples, and if you're into his music, Nelly (the soundtrack also had Benzine on it, but I'm about 99.8% sure no one was into his music). Aside from the music, the atmosphere of the game was perfect also. The sounds of the trains, sirens, and the surrounding crowds itself was worth the price of game honestly. It gave you that real element of being on a court in your neighborhood (or your makeshift court with the milk crates) and hearing what surrounded you in the street. That, along with Bobbito being in the game to provide another sense of realism helped to make this game even better. Bobbito was the integral part in the game feeling realistic and truth be told, without his inclusion, this game might have suffered the same fate as the first one. Luckily for EA Sports BIG, this game would soon become a classic. 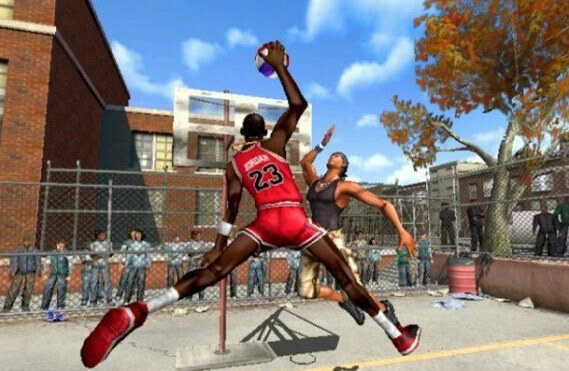 With four game modes to entice every gamer (my personal favorite being the Be A Legend feature, though the NBA Challenge was always fun), along with three variations of Michael Jordan (at the time, any game with Jordan on it was worth gold), NBA Street Vol. 2 just couldn't miss. So, is it the best basketball arcade game of all time? I'd like to think so. 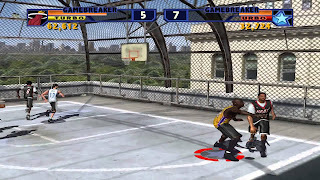 While NBA Jam was essentially one of the originators, it never mixed the game of basketball with the street culture, and that's what sets NBA Street Vol. 2 apart from the rest. 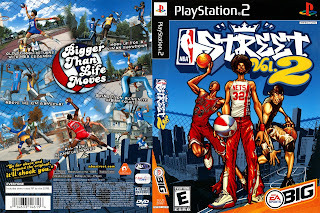 Not only did it embrace the street culture, it also gave us a game that embraced hip hop as a part of that same culture. NBA Street Vol. 2 is a classic and should be remembered as the greatest basketball arcade style game ever. Yes, that includes NBA Jam.